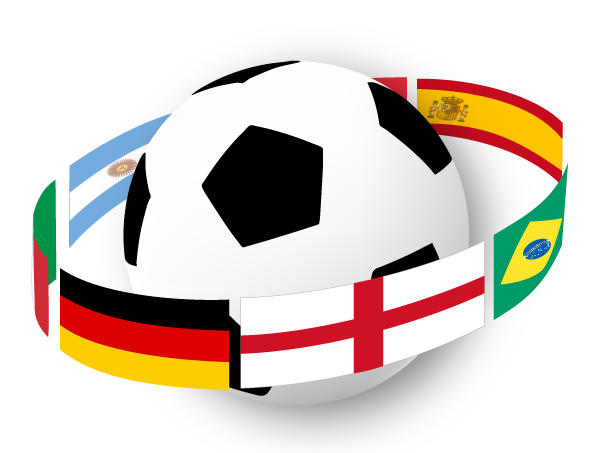 Discussions abound about England’s chances at the 2014 edition of the World Cup. For a country which has produced elite football players such as Gary Neville, John Terry and Paul Scholes (and yes, David Beckham), there isn’t a lot of optimism about their chances this summer. The sports collective favors Brazil followed by Argentina, Germany or perhaps Spain (defending champs) to win it all. In other words, nobody is predicting an English title for this edition yet everybody is looking for something to blame. It’s become somewhat trendy to blame the Premier League (England’s top professional Association Football league) for England’s national team downfall. Why? Because fewer than 1/3 of its players are actually English. Rampant speculation about this phenomenon has led to intense discussion at all levels of the sport in England - the same country in which the sport was invented. Let's try to settle this debate. If we “follow the money” (for 2013) and judge a league not only by its top teams, but also the bottom-feeders and every team in between (in terms of money), then the Premier League is indeed the best (meaning: although Manchester City is an outlier, most of the league isn't as far behind, salary-wise as in other leagues). This article was written by the the author of "Graph of the Week" for Statistics Views and published on January 30, 2014. Read the rest of this article there. Hi there Patrick! Nice hearing from you! I will be too, but with a different mindset. Most of the 'quantitative' part is done for me (although I might re-calc some stuff afterwards to update the numbers). Henceforth, it's all about the qualitative aspect while I watch with drink in hand!